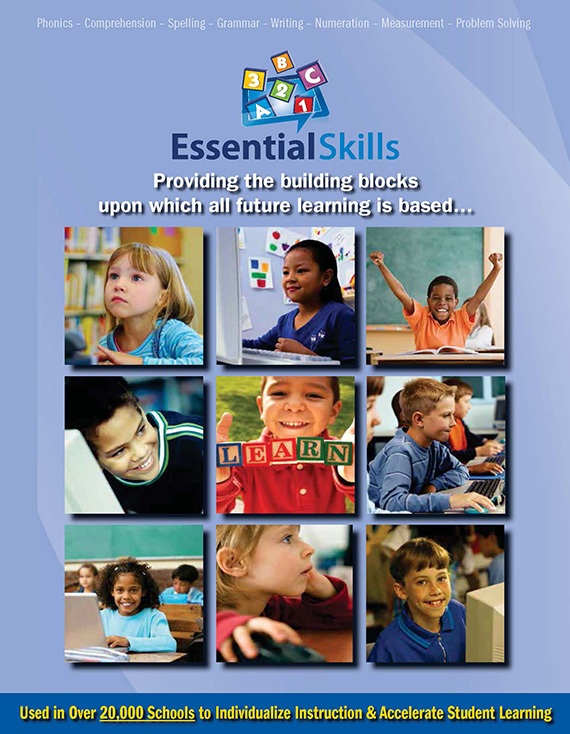 A number of teachers across North America have conducted their own studies of the effectiveness of Essential Skills software. Often this research uses a pre-test to establish the baseline of skills the students have. Then follows a period of several weeks or months during which time the students use our software to build skills in a specific area. Finally, a post-test is applied - the students' skills are retested to measure their improvement while using the software. Classroom-backed research can also be anecdotal, and based only on observations of student performance over time as opposed to measuring performance with pre and post-test data.